People’s collective of Russia Nikolay Lobachevsky Nizhny Novgorod State University Choir (Nizhny Novgorod). Nizhny Novgorod State University Choir is one of the oldest choral collectives of Nizhny Novgorod: its history began in 1949. Vladimir Izyumenko was its artistic director and main conductor for 35 years. The choir received the honorary title “People’s collective of Russian Soviet Federative Socialist Republic” in 1974 under his baton. Nowadays the choir is a participant and laureate of Russian and foreign festivals and competitions in choral music, winner of many honors and awards. Between the recent awards there are: 2 Silver medals of VIth World Choir Games (Shaoxing, China, 2010); GRAND PRIX of Ist International choral assemblies (Yekaterinburg , Russia, 2011); 2 Gold medals of VIIth World Choir Games in Cincinnati (USA, 2012); GRAND PRIX of the International Choral and Folklore Music Festival SLOVAKIA CANTAT (Bratislava, Slovakia, 2013); 2 Gold medals of VIIth World Choir Games (Riga, Latvia, 2014). Nizhny Novgorod State University Choir also participates in the projects of Mstislav Rostropovich Nizhny Novgorod State Philharmonic and Mikhail Glinka Nizhny Novgorod State Conservatory (Academy) and collaborates with “Soloists of Nizhny Novgorod” orchestra. Graduated from Mikhail Glinka Nizhny Novgorod State Conservatory (class of Vladimir Izyumenko) in 1996, she was working as a choirmaster of Nikolay Lobachevsky Nizhny Novgorod State University Choir from 1992 till 2002. In 2003 she became the artistic director and conductor of Nizhny Novgorod State University Choir. 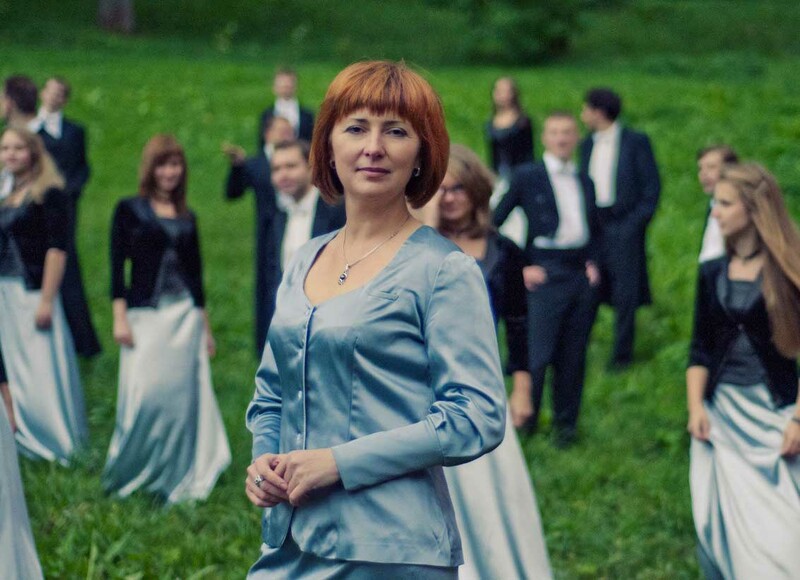 Since 2004 she is the artistic director of International choral festival “Young Voices” (Nizhny Novgorod). Larisa was awarded by Nizhny Novgorod prize in 2010.